This entry was posted in America 2011, Felt, nuno felt and tagged Felt, felt scarf, Felting, fibres, golf, merino, nuno felt, nuno felt scarf, nuno felting, silk, silk fibres, silk scarf, Studio, wet felt, wet felting by Nicola. Bookmark the permalink. Nicola–This one is especially lovely!! Perfect for Summer! 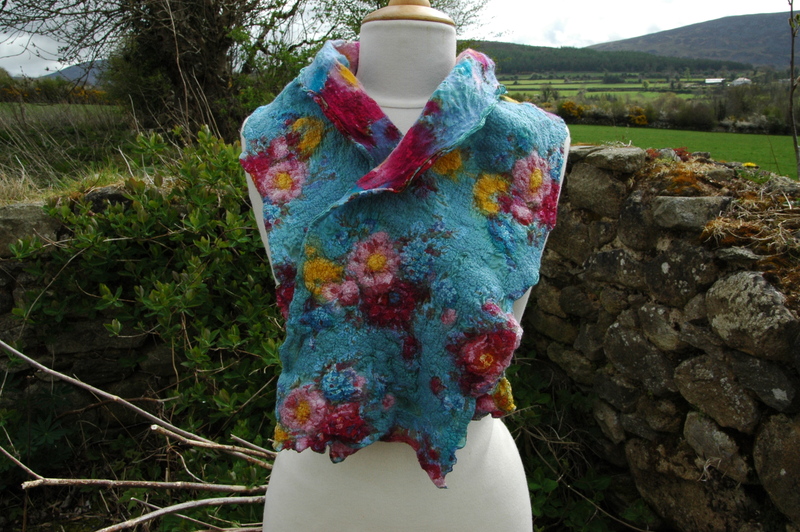 The colors and felted end result are stunning!!! 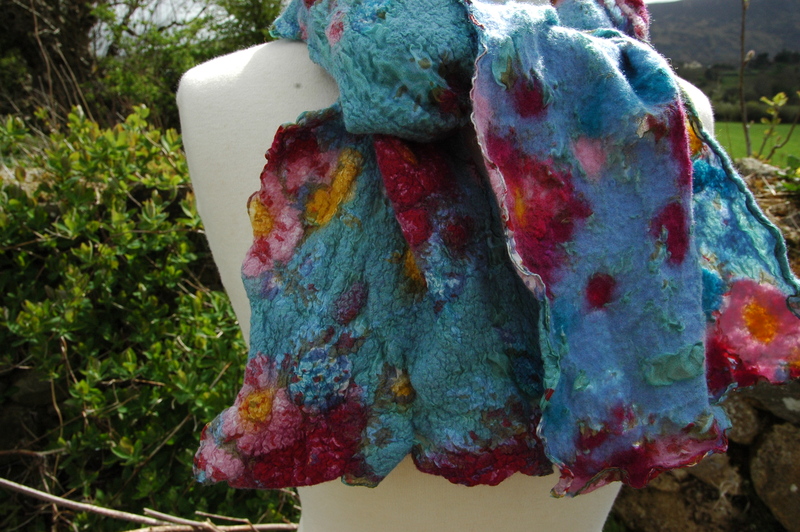 a great idea to make the most of the printed silk; simply love the colours! I am looking forward to the opening of your new shop. This is stunning. It looks like a rose garden. It’s beautiful just like a monet painting! Its beautiful, just like a monet painting! That’s so funny…I think Alan and my husband must think along the same lines. I have a laundry mountain waiting for me to put away upstairs, but I’m going to do a little felting this morning beforehand:-) A day without a little felt-making, would be akin to a fish without water. Love your new scarf…Great scarf find…They turned out beautifully. The moment I saw this scarf, I loved it! Truly enjoy all your projects. This is beautiful. I cant wait till I hear when you will be in Eugene, Oregon. I want to be there. I have taken classes with http://www.tashwesp.com here in Oregon and I told her about you and that you were coming to Oregon. Cant wait to meet you!